Supermodel Rachel Hunter has graced the cover of countless magazines, hosted numerous television shows and was married to a rock icon. Now she’s undertaking a different sort of role — that of detective and discoverer. 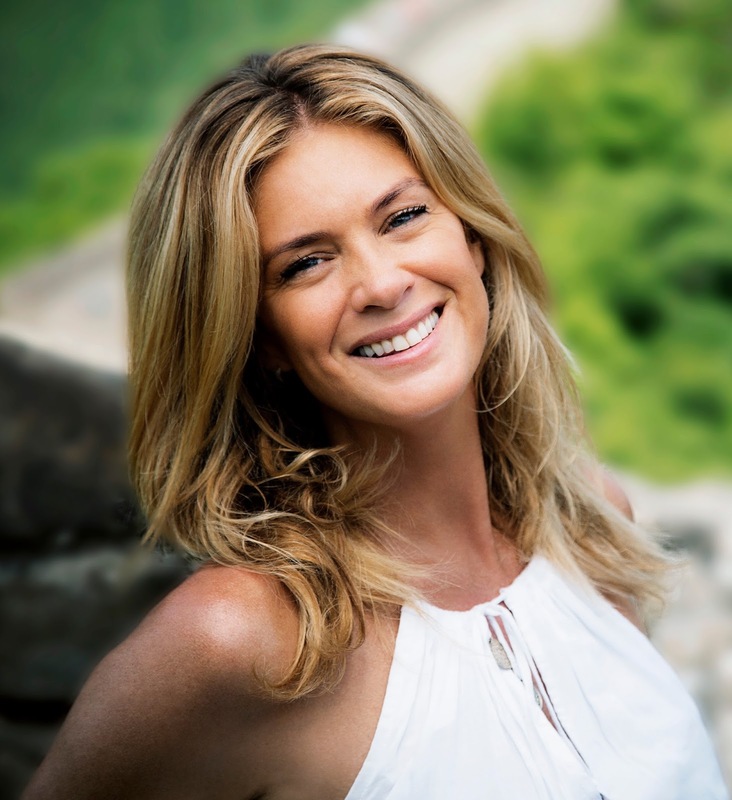 On Ovation television’s “Rachel Hunter’s Tour of Beauty,” which premiered Jan. 17, Rachel is in search of beauty secrets from all cultures and walks of life: from France and Greece to China and Fiji. In each of these 13 hour-long episodes, Rachel will take viewers on her own tour of beauty, and she’s hoping we’ll want to come along for the ride. Celebrity Extra: First of all, how did the idea for the series come together? Rachel Hunter: I was working with Bettina [Hollings], who’s the executive producer, and we were working on “New Zealand’s Got Talent.” And my background, as a child, I was very exposed to different religions, different cultures. I was brought up on natural, organic foods. Always had an intrigue with health because I was a dancer. And New Zealand is very much that kind of feel. We sat around and threw out some ideas together. And we came up with this one other show, which didn’t work. And then we thought, “How do other cultures live?” It kind of came from us just sitting around and talking. At that point I really thought I’d traveled around the world and seen things from being a model as well as being married and going to different places. To be honest, my appreciation of the world in different cultures has deepened incredibly after going to these 13 different countries, because I really got to see the underbelly, and see women and men and cultures, see why some of them live so long, why some of them are so healthy, why some of them are so spiritual and have a sense of peace. The people that I met who have eaten these superfoods or have different ways of life, they are the superstars of the show. I am merely the conduit; I loved what I was doing. I got a lot from this journey, but I hope everybody else has a better and bigger understanding that inspires people to really look and feel and appreciate other different cultures, ideas, beauty, longevity and wellness. This show really means a lot to me. CE: So you basically go to these different countries and just seek out these different ways of life, of living, of eating, etc., and bring it to us? RH: Yeah, there’s no script. I go from eating bullfrogs to tea to emus to burqas to gurus to different types of superfoods to understanding why the French have this incredible style and they don’t get fat. I also look at the entirety of the pressures in different societies, and take the human side of them and really look at that. CE: What are some other things viewers can expect to experience? RH: We get a broad view of the world and have a look at the different cultures. And clearly in different cultures there’s different religions, different ways of life. And I think to involve that gives us a really good sense of the people, and it was a good idea for what the concept for the show was. We made the decision to go to all those places so our experiences could be extremely spread out. India has a wealth of ancient ways. China has a wealth of ancient ways and knowledge. Australia is full of incredible scientific information for me, with the DNA testing, which is very helpful information that I needed to learn about myself. We hear about coconut water, we hear about chia seeds, but what the heck do they do? Everyone is on this bandwagon of longevity wellness, thinking, “Yeah, let’s sit down and crank out some juice and get some chia seeds, and we’re all going to be great.” Well, what do they actually do? So we explain some of those superfoods and what they actually do, how they can actually help us. And for how long have they been helping us. We cover all of that kind of stuff. CE: It’s not all just about diet and physical health, but you also delve into emotional and spiritual well-being. RH: Yes. We met with an amazing guru, and his concept of beauty is everything that I believe in and that’s how he feels. When we go through struggles in life, we reach out, usually, to spiritual or religious places because we really need to understand ourselves — what’s our purpose, where are we going in our lives, what is God, what is the universe? We have all these big questions, which, basically, never really get answered. But I think that when you go to some of these spiritual places that they give you great ideas and great clues to settle that down and give you critical tools, really amazing tools to live with. CE: What are some of the things you learned in your travels for the show? CE: Tell me about some of the uplifting moments we’ll see in the series. RH: Oh my God! There are so many uplifting moments. We were in Greece during the moon harvest, and we got drunk on this really, really raw wine with a high percentage of alcohol. We danced all day long and laughed. I’d say that Greece and the Full Moon Harvest that we filmed and dancing and singing and laughing was a huge bright spot for me. And France was eating cheese. And you just eat and eat. You also dance in Brazil. There was a lot of dancing in Brazil. What an amazing place! The melting pot of all these incredible, different places. There’s a lot of laughing and there’s a real funny side to the show. There are serious moments, but I think you have to have a laugh too. CE: A lot of places you visit, you are really roughing it, aren’t you? RH: We all love a five-star hotel, or whatever floats your boat, but I think to actually go into places and live with people, like we lived with Elaine and George on their winery and woke up with them and ate their food. She cooked and we sat in their kitchen while she was cooking. New Zealanders travel a bit young, and you know when you start traveling, you have this awestruck look on your face. Like, I can’t wait to investigate the world. For me, this series, it is like, how do we get that vibe back again? To have this opportunity to go and see different cultures deeper — going on to the farm, going and living with people — that was so different from the life that I led. It wasn’t magazines or concerts or all that kind of stuff. It was more about hanging out on the farm and how are we going to put this turmeric into a facial. CE: Was there a time when you didn’t think you were going to be surprised by something, but then you were? RH: The France episode was like, oh my God, it’s Paris, which is about beauty at the time. This is going to be a no-brainer. And I fell in love with France all over again. The grape is a very amazing little piece of fruit. It has resveratrol, which is important to anti-aging, and just incredible for our system. And the French just know how to do everything in moderation. A little bit of everything is what works for them.